The second par three which looks fairly innocent by comparison to the sixth. A large hollow directly in front of the green can give the wrong impression of the distance to hit. A prevailing wind, that is caused to swirl by the large trees on the right, makes club selection important. Two bunkers either side of green will gather in any shot that does not hit the green with the right shape and speed. The green is relatively narrow but long and gives the impression of a significant slope from back to front. 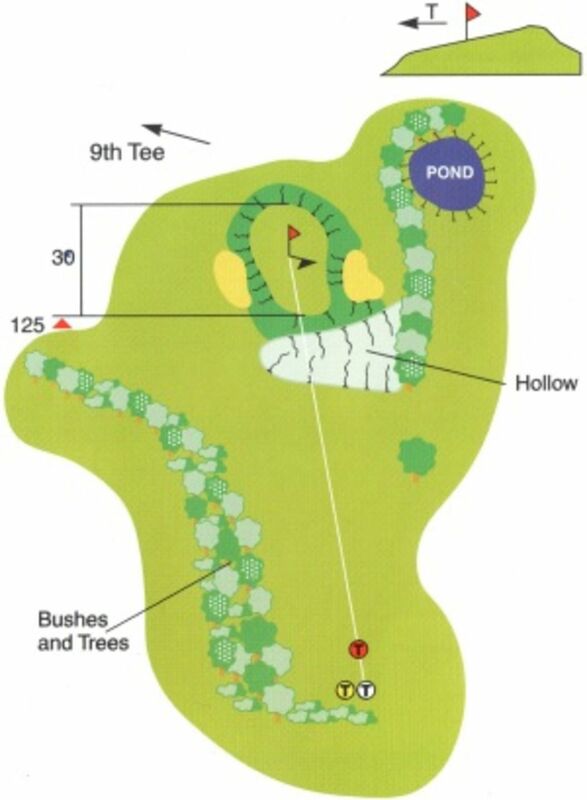 A ball hit too long will run down the slope at the back of green giving a difficult shot back to the pin. As with most innocent holes, lack of concentration will cost dearly.